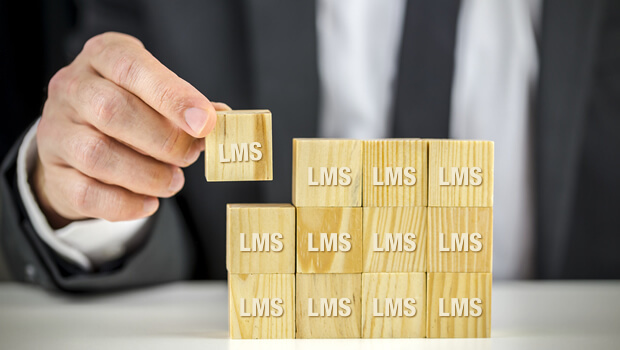 In the past I have written a few posts mainly focused on making the process of selecting the right LMS for your business need – be it internal training management or selling training as a business. We looked at a series of things focusing on the right way to go about open source LMS, in case you are switching to a new LMS system, the critical consideration on how to decide between hosted and behind-the-firewall option, and even a few tips on what not to do while selecting an LMS. All these were to enable you to make the right decision, in turn ensuring a positive return on time invested in the entire process. We also shared our experience about what typical things training companies look in an LMS for. Create a team and an owner of the implementation: Early on, it is very important to clearly define a team for configuration and implementation of the LMS. Ideally, the team should include individuals from all stakeholder units, key ones namely HR/Training, Management, IT. Identify a clear owner of the team and define roles and responsibilities clearly. Set some milestones at a macro level to begin with but leave the team to come up with the plan in consultation with the vendor. Get top management buy-in: It is critical that the top management is well aware of all the ongoing activities with respect to the LMS; after all they are the ones controlling the buck. Ensure that all key management people are on board and you have their full support and acknowledgement for a smoother implementation. Get stakeholder buy-in: Stakeholders are the individuals and groups who will affect and, in turn, will be affected by the LMS. They may have a multitude of interests, expectations, and demands as to what the system must provide to organization. Identify these key individuals and ensure you have their participation right from the needs assessment stage through to the actual launch. The stakeholders should be kept informed & engaged throughout the process. Ideally these should be represented in the team formed in Step 1. Arrange for IT support: This may not be fully applicable for a hosted LMS, but for an LMS that is deployed behind-the-firewall, it is important to have excellent technical support from the IT department throughout and post the implementation. Work closely with the team to determine what resources will be required to implement the LMS and what additional resources would be made available during the course of the implementation process. Get them familiarized with the application – they don’t just need to know how to implement and integrate technically, but also how the business is going to use it and the implications for the system configuration etc. Deploy adequate resources: Your need to have a buffer assigned in terms of people, time & infrastructure. Allow more time than allotted, appoint additional people and get more infrastructure support. Ensure that you have adequate resources in order to deal with the changing requirements. Again, this may not be true for a hosted LMS, but in case of behind-the-firewall option you may have to face such situations. Form focus groups: Conduct focus groups with key stakeholders, key users & departments when selecting and implementing an LMS, so that the most critical needs, problems and objectives are understood and addressed. It is equally important to use employee feedback to make improvements to software and training procedures. Arrange for internal marketing: It is important to assign a team to market the new system to the organization. The team should have a marketing plan that will get the users excited & eager to use the LMS. This could be done by providing demos / screen shots, having an implementation party etc. Promotion/marketing of the new LMS is critical for user acceptance as it will drive interest & encourage adoption. It is also important for the team to clearly indicate how the system will benefit the employees. Allot help-desks & training platforms: Lay the foundation for help-desk support and training. Make sure that the help desk is prepared with the necessary documentation, FAQs and other information that might be needed by the users. The training should include tutorials and workshops for instructors and students and should also pre-train the selected team members in any skills that they must know before implementation. I am confident that these small tips could add a significant value to your LMS implementation process. Even for the LMS vendors it would be useful to understand these and add value in ensuring that the customer is educated and supported for these activities during the implementation. Though some of these activities are internal to the customer organization but a support at this stage would also ensure a faster implementation with less problems and issues. It’s a win-win for all. Look forward to other such tips which would be useful!